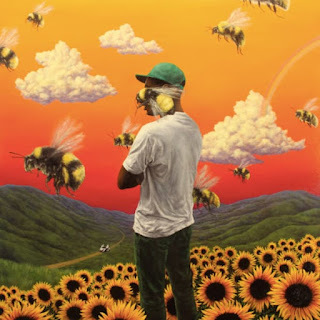 For me, personally, I don't think there could have possibly been a better time for this collaboration to come about. At the end of last year I went to see Gallant live and it was a wild and out of body experience. A show. I can not urge anybody enough to go and see him in real life because Christopher Gallant's vocals are absolutely mind-blowing. I stumbled across Eric Nam for the first time over the festive period when he released his single 'Body' featuring Timbaland, a pop/R&B jam, to be honest, it's exactly what you'd expect from Timbaland and a Korean-American artist. I'm a strong advocate for K-pop crossing over to "Western audiences", and although 'Cave Me In' is sung entirely in English, I feel this just might be the place to start. I genuinely didn't expect to hear anything new from Gallant so soon, considering that he only released his debut album last Spring, but here we are! 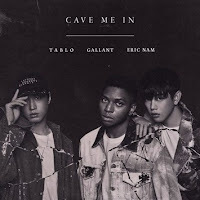 As suggested, 'Cave Me In' is a collaboration between the LA based R&B singer, the aforementioned Eric Nam, and Korean rapper Tablo - who believe it or not is 36 years old! My favourite thing about this song is that Gallant isn't at all over the top at any point. His vocals are still outstanding and effortless but in a really digestible and commercial radio friendly way. 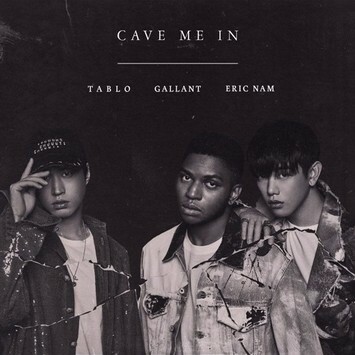 On top of that he sets a really great platform for Eric Nam, who doesn't get lost against Gallant's vocal talent, which was my first worry upon hearing they were on a track together.